The time on my phone read 4:00 AM and temperature 6 degrees. I knew I had to wake up at 5:00 and make myself ready to leave by 6:00 AM but the antsy and sleep deprived me was just not able to gather courage of getting out of the coziness and warmth of my bed. Fast forward 7:00 AM. Our vehicle trudges through the serpentine roads and I am mesmerized by the rhododendrons that spread wide across and painted the slopes red. I fill my lungs with fresh mountain air and spare my energy for moving around freely at 15,200 ft. (4,600 m). We hear occasional firings and are informed about the practice sessions of Indian Army. That’s when I spot the board that reads – “Highest artillery firing regiment in the world”. I proudly exclaim inside my head, “Wow! That’s certainly something to be extra proud about your country”. Most of the paths we cover fall under no- photography zone, however, they are strikingly beautiful. All I do is drink down the beauty of the valley, the numerous lakes and colorful slopes. Our driver points towards the abandoned army bunkers every now and then, which are otherwise difficult to be spotted. The temperature has still not budged beyond 6 degrees and I start wondering what it would be like being at the higher altitude I was heading to. Our first stopover is at Y- junction army checkpoint for breakfast. I fail to keep a watch on the amount of coffee that I gulp down along with piping hot momos. The road from here seems to be blocked due to heavy traffic ahead. I glance at my watch and it reads 8:00 AM. We start off within few minutes of wait. The actual adventure starts after leaving Y- junction. The road ahead from Y- junction is one of the roughest roads and, at some patches they are totally non- existent. I would have never been able to drive on such roads keeping my sanity intact. As we gain altitude, the greens disappear and the entire landscape turns white, with snow everywhere. Another hour of drive and we reach our destination for the day. 37 km from Tawang, at a height of 15,200ft ASL, is the place that served as the trade route between India and Tibet in older times. 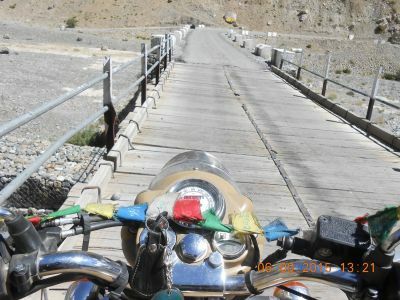 This is the route from where 14th Dalai Lama escaped Chinese army and this was the same route through which the People’s Liberation Army of China had invaded India during the 1962 Sino- Indian war, one of the fiercest battle in Indian history that resulted in the death of 4,383 Indian soldiers. I stand at Bumla Pass, the Indo- China border. I can feel the warmth of the sun on my face as I stare at the sky. We are greeted with broad smiles and utmost respect by the army officers and are offered tea and snacks. “How can they be so grounded with perfect mannerisms even after living through such extremities?” I wondered and felt like giving them a bear hug. We are escorted to the Line of Actual Control (LAC) by Major Santosh and here starts the actual conversation. We are given accounts of the 1962 Sino- Indian war and how situations changed post-war. I ask about the current situation to which the officer replies in positive. There are 6 Border Personnel Meets (BPM) conducted every year, out of which 4 are organized by India and 2 by the Chinese army. The "Heap of Stones Monument" is the symbolism of the BPM meets as after every meet, one stone is colored and the date or occasion of the meet is written with white paint on the colored stone. 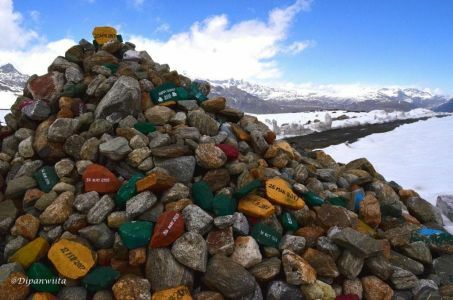 The visitors are allowed to place a pebble or stone on the heap as a tribute to the Indian army. Similarly, the "Rock of Peace" also stands strong at the LAC. "How many visitors come to Bumla pass on an average?" I ask. To which the officer replies "150 visitors on an average. Every day." There are 4 BPM points as agreed officially between Indian Army and People's Liberation Army of China for regular consultations and interactions to keep faceoffs at bay. The four BPM points are Chushul in Ladakh, Nathu La in Sikkim, Bum La Pass in Tawang and Lipulekh Pass in Uttarakhand close to Chang La. There is a jawan posted at the LAC who keeps a watch on activities on another side of the border. We are informed that the watch is on for 24/7x365 days irrespective of weather conditions. The Chinese watchpoint is 2 km away from LAC and the first Chinese city from this side of the border is Songjung, at a distance of 27 km. We are allowed to prowl on the China land approximately up to 50 meters. My exhilaration knew no bounds as I step into China without any Visa. As it transpired, his words turned out to be true. It snowed that night. But, I did sleep well, unlike the previous night. 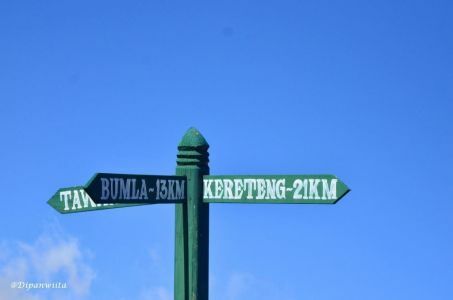 Getting Here: Bumla Pass is 37 km away from Tawang town. You will need to hire a local vehicle from Tawang to get here. 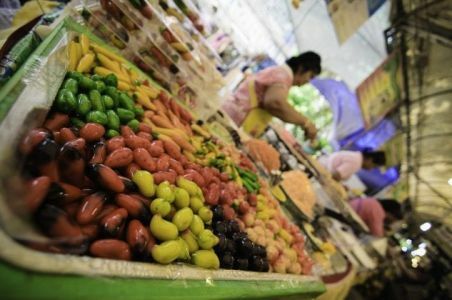 Cost – INR 4,500 to 5,000 for the entire day. 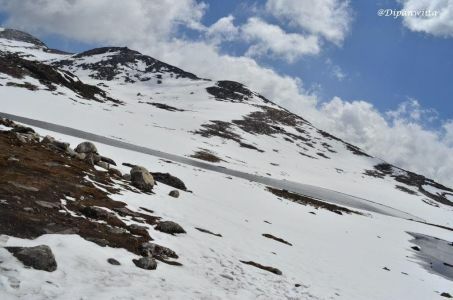 You may also club your visit to Shungetser Lake along with Bumla Pass on the same day. 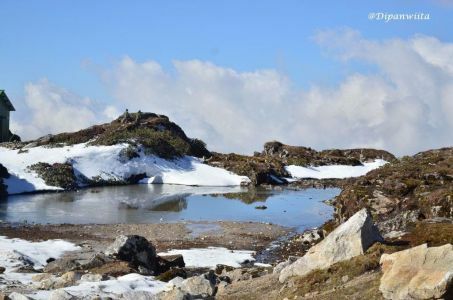 You can also book Tawang in one day sightseeing tour from Navigers. 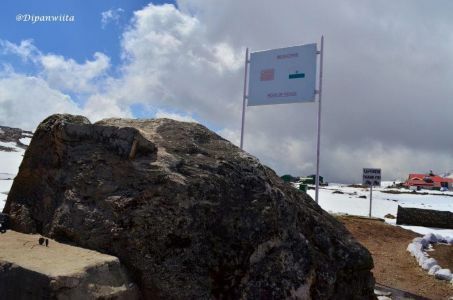 Permits for Visit: Visit to Bumla pass needs a special permit from the Office of the Deputy Commissioner, Tawang, with permit stamps from Indian army cantonment of Tawang. It takes one entire day to receive the permit so you may schedule accordingly since, without the army stamp, you will not be allowed through the several checkpoints on the way. Requisite documents for the permit: Photocopies of your Inner Line Permit, Photocopies of your ID and address proof, duly filled permit form. The fees for the permit: INR 100 per form (If the applicant isn’t personally present). INR 50 per form (If one of the applicants is present). **Note: The entry to Bumla Pass may be restricted under many circumstances like extreme weather conditions or political situations. So do not be disheartened. On the chilling night of August 2015, I saw the Milky way with my bare naked eyes in the dark sky of Nako. Technically we're in the Milky Way galaxy; so its weird to search for Milky way. What we need to look out for is the Milky Way Galactic Center. And the best times to observe the bright galactic center of the Milky Way, from any part of the world, tends to be from about mid-March through mid-October. One of the most important factors that contributes to the visibility of the Milky Way is the time of observation. It moves across the sky throughout the course of the night and the position of the Milky Way will differ depending on the time of year. Nako has no light pollution. The population of this place is very less, always resulting to clear skies. So you can usually sight the Milky Way Galactic Center here on any dark day when there is no moon light. It is the first certified Dark Sky Park of US. It’s possible to see up to 15,000 stars throughout the night in this place — in contrast, you can see fewer than 500 in most cities. If you strategically plan your your trip by considering the best weather and the the right time of year with no moon light; then you can get a glimpse of Milky Way Galactic Center from the following places that have the less population and less light pollution. 1999 and I was in New Delhi watching Tomb Raider. Movie got over somewhere at dusk and I was racing on the street on my KB, I remember I jumped quite a few red lights. I lived that dream of racing my bike in the Cambodian ruins for more than a decade when it finally came true on in March 2016. I was flying to Cambodia for a dirt biking trip. I flew from Bangalore to Siem Reap via Thailand..
Thailand airport is a kind of mess. No/almost no drinking water facility and toilets were like public toilets and to my utter surprise girls had entered the men’s toilet because water was over in lady’s toilet. 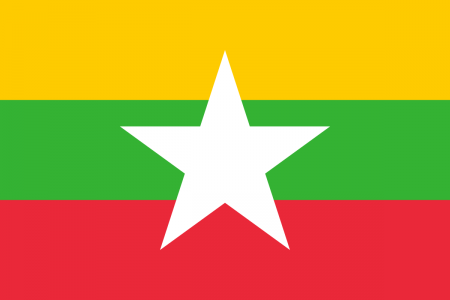 I had already got my visa done from Cambodian government website to save time at the airport and had bought US dollars from a currency broker. I exchanged some of Cambodian Khmer currency also at the currency counter at Siem Reap. Siem reap airport is small, calm and easy to navigate. I took a pre-paid taxi from airport to hotel, reached somewhere in noon and by the time was could freshen up and eat it was evening. I lived in mad monkey hotel. It is wonderful, comfortable and wow if you want to connect to travelers but the only thing that I didnt like is we have to buy drinking water all the time. I spent that evening walking along the lake side and night at Pub Street. Pub Street; yayyyyayyy music, beer, smoke and a combination of awesome Cambodian street food and a lazy walk. Tickets can be picked up easily on the first morning of your visit or the night before (the park closes at 6pm but the ticket office may close earlier). There is a separate window each for single, three day and week long passes. Queues move quite quickly – we were in and out in ten minutes. At Angkor Wat entrance tickets are available for single day, three day and week and so on. I suggest people who are not there to research pls take three day ticket or single day if you are unsure for three days. 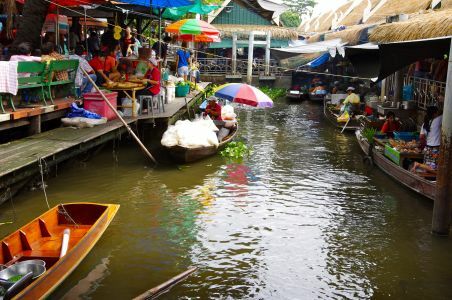 Two to three days are enough to see Siem Reap. Tha Prom, Angkor Wat, Angkor Thom and the nearby places. Taking a tuk tuk is awesome. So not take an enclosed taxi. You need to sweat, you must feel the heat of Cambodia. Tuk tuk take you around the Angkor complex $15 per day, you can use electric bikes for hire, which cost around $10. I took tuk tuk. I recommend to carry an umbrella along with sun screen if you don’t want to get darken like me. Cold drinks and lunch – which can be expensive. Expect to pay around $10 per person for lunch. Next day I was up soon and had to go to Angkor Wat complex. Just know that by 10 a.m. or even 9 a.m., the sun will start to beat down hard. I covered almost all including Angkor Wat, Angkor Thom, Bayon was amazing in Angkor Thom, and Ta Prom, etc. 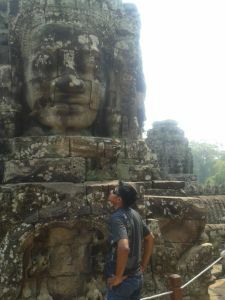 Bayon - There are numerous smiling Buddha heads in this temple and this adds to the awe and mysteriousness of the temple. There are stories carved on to the wall which reflect great craftsmanship. Tha Prom is my favorite in that complex. Being there feels like being in a dream world. 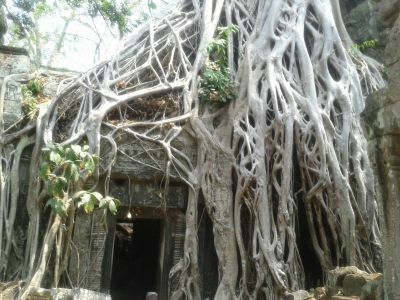 Trees have eaten up the temples. Its amazingly astonishing. Ta prom is something that will leave you an awestruck traveller with an enthralled feeling – is it real? If you cover Angkor Thom (Bayon, etc), Angkor Wat, Ta Prom, and nearby temples, you have almost covered 90% of it. At around 5 p.m., the sun will start to mellow and this would be a great time to head back to town. 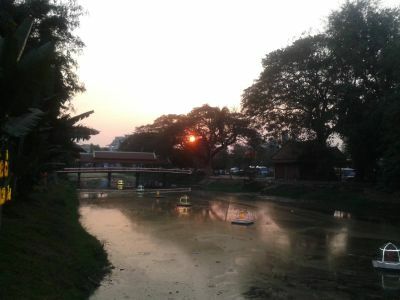 Phimeanakas temple or roam around the Prasat Suor Prats can be seen in evening. All the evenings I was at Siem Reap, I did nothing but down at the pub street. After two days I left for Phnom Penh and hired a bike there – Honda Degree … a monster dirt bike for Cambodian biking. It didn’t ride, it just flew with front wheel pooping up in the air every time I started. I rode to Kampong Cham 130 km. Road was good, traffic is less and most of them drove sensibly well. In Kampong Cham I was lucky to be a part of Mekong river festival celebration. It was jointly celebrated by Khmers and Thais together, held at Mekong river bank. I drank strawberry juice, it was ummmmm pulpy. (now I feel like drinking one more time). Kampong Cham is the place where you can ride over the bamboo bridge to the Koh Paen island. Each year the bridge is washed away by the rising Mekong river during the monsoon season; and each year they rebuild. And it can be quite a tight fit, so watch out that you don't fall into the river. Sometimes, you don’t only need skills, you also need guts. You have it, you go over it. I throttled my dirty Degree over the hot tarmac from Kampong Cham to Kampong Thom 140 km. This is the place where partial shooting of Tomb Raider happened along with Ta Prom. If you have courage and a navigation brain, get ready to get lost in the jungles of Cambodia in Sambor Prei Kuk - The ruins, which are several centuries older than Angkor Wat. I rode my bike over the sand, mud, water, over the broken stairs, just everywhere. You need to get inside that jungle to locate those ruins. Be careful with the wild animals. There is a fake ticket counter, they fooled me for $20; don’t take ticket for Sambor Prei Kuk, it’s not required. At Sambo Preykuk, it is the real deal. 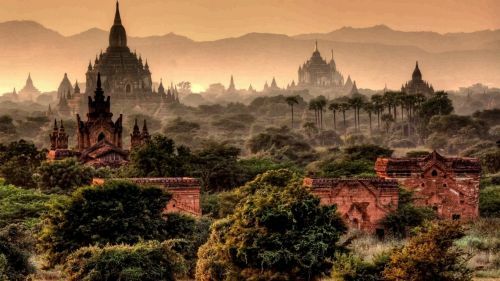 These temples have been truly lost to the jungle and recovered. Everything about my time in this complex was like living a Tomb Raider film. When I rode back from Kampong Thom to Phnom Penh, I was a terrific ride. I felt like, I was sitting over a devil and racing at the speed of 140 km/hr and though it was cloudy I could feel the heat on my thighs from the bike radiator. Phnom Penh offers killing fields, some temples, etc, nothing adventurous but good for tourists for a day or 2. Going to city market especially Russian market was amazing. Don’t forget to buy cigarettes there at the dirt cheap rate and ya they are original but be careful with alcohols. Taking a short trip at Mekong River by a boat or jetty is recommended or if not, take a long never ending walk along the silent river bank. Camodian food is different. I love their soup. They boil meat (some meat I don’t know), asparagus, lemon leaves, mint, cabbage, basil, Cinnamon, and it taste awesome. Caution – Always park your vehicle in garage, or consider it unsafe and no charity, it’s all fraud. Every girl likes to hang out with their girlfriends and have thier own 'princess time'; be it when they are shopping together or over phone conversations. Its usually difficult to have a extended time out with your friends due to the busy schedule in a girl's life. So, sometimes you have to escape from your life and live that extended 'princess' time. 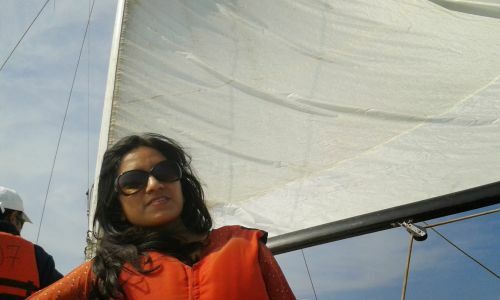 Coorg has a wide range of options that you can explore with your gal pals. You can choose to stay at homestay and sip coffee/tea all day long and relax or have a fun time while trekking, rafting, camping or sight seeing. 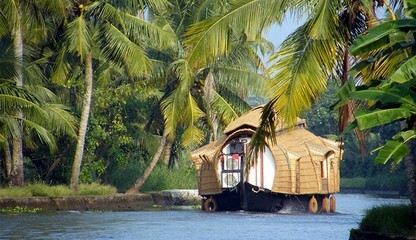 Alleppey offers the best house boat experience for you to sit back and relax and provide a quality time with your friends for gossip and chit chat. You can also treat yourself to a spa session with your gang. Pull on your adventure gene and try snorkelling or scuba diving or other water based adventure activitities in Adamans; where you dont have anyone to judge expect your besties. 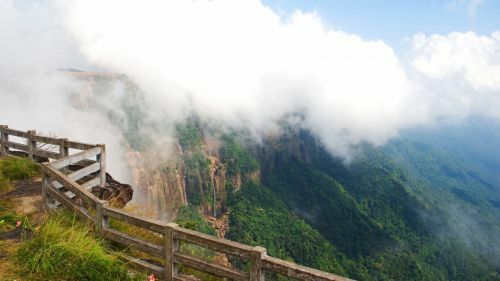 Nature, peaks, culture, waterfalls... this north East part of India is a best destination to relax you. 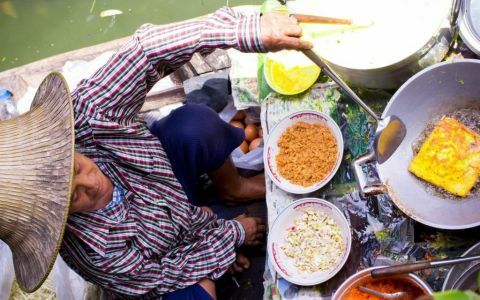 What kind of guy starts writing travel blog in almost mid night. Its 2:14 AM. Dhag Dhag Dhag Dhag…that’s not my heart beats…this was the sound that kept racing in my brain, in my heart, after I finished that deadly Spiti. September 1st 2015. A man with the greatest ingestion on the planet – Wheels, and when two wheels comes together it made a bike. Day 1 - I Flew from Bangalore to Chandighar and rented a 500 cc Desert Storm (pre booked). Day 2 – I had to drive approx. 250 km but I started my journey on 2nd September 2015 somewhere in noon. Drove from Chandighar to Shimla to Rampur - fast. Roads were average and as expected turns kept welcoming. The hotel I took was right at the banks of Sutlej (or Satluj). Drive was relative easy for a regular rider except a little stretch at Narkanda which was congested, narrow and cold. There was not much to do on the banks of river so I spent my dusk at the river bank and slept early. Day 3 – Started early with breakfast from Rampur to Sangala. I thought the ride would be easier as Rampur to Sangala is just 100 km but than I realized the kind of road or no road or stretch whatever we call was purposely made to test my skills that I had developed in my life. It was almost afternoon to cover 100 km but when I reached Sangala, I realized it was worth it. The valley weas red, not by flowers but by Apples. I had never seen a world painted red. Raise your hand and eat apple. I kept moving around the valley eating apple. Evening as well as Night was cold. Day 4 – Today I was more educated because of last 100 kms and so I started early at 7:30 to Nako. A place which is famous for wind, stars and galaxy. I had to ride 150 km to reach Nako and as expected there was nothing like road and on one stretch I had a land slide right in front of me. I was excited to click its pic and then I got the shock of my life when I realize what if I was few seconds early, I would have died in land slide. Finally I reached Nako somewhere in afternoon. Took a hotel near sacred Nako lake. Serene. Took couple of rounds of Nako lake and spoke to locals about their life in winter when everything freeze here. Happened to have dinner with a Hungarian couple who were planning to get married in Indonesia in late December. They were very fascinated by the fact I was biking on these stretches. Night was extremely windy and freezing but look up…ya look up..you see the milky way….bright and clear. Day 5 – I was happy to leave Nako in search of something warmer and started my journey at 7 AM to reach Kaza but in between I had to go to Giyu village. It has a mummy 500 years old. Naturally mummified. When I was riding to Giyu village I remembered hills have eyes movie and I thought hills will eat me up. There was absolutely nobody but finally efforts paid off. I reached one of the most beautiful villages I had ever seen. There were no restaurant, just couple of houses so the only food I had was dates and apple. I washed apple in the mountain stream and had lunch in open and proceeded for Kaza. But in between I went to Dhankar and was so mesmerized by Dhankar monastery that I decided to stay at monastery and postponed my plans to go to Kaza. Dhankar monastery is the most beautiful monasteries I had ever seen. Dhankar – a village with no shop. Dhankar was cold too. Day 6 – I left Dhankar to Kaza somewhere at 8. I reached Kaza somewhere in evening and took hotel infront of the monastery. Happened to meet Govind Lama who sprayed his spit on me to bless me..ya ya smile. Kaza is conjected compared to any other place I have stayed on this route as this is the biggest town there. Happened to meet Tenzing – A Tibetan who spoke for hours about what happened and what is happening in Tibet. Day 7 – This was the day that changed me. I learned its not how hard you give, its how hard can you take. 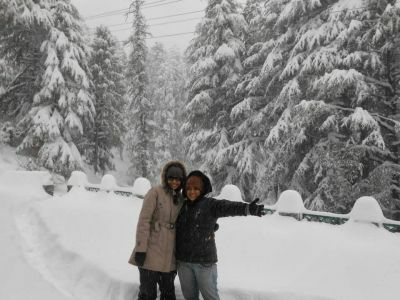 This was the day Kaza to Manali via Kunzum La to Gramphu and Chatru and Rohtang La. 183 km and 7 hour and 40 minutes of continuous biking, it did not only test my skills and patience, it test my mental endurance, the calcium in my bones and iron in my blood. This is the route which you can cross and call yourself a hero. Riding over the river, stream, which locals call Nalah, under the waterfalls, 60 derees steep up hills, rocky desert, loneliness, It made me look up at the sky to thank I was fine and finally out somewhere in the evening only to realize that I entered a cloud, cloud so dense that I had to stop and wait for the cloud to pass by. I reached Manali after dusk, tired but euphoric with a life time story. 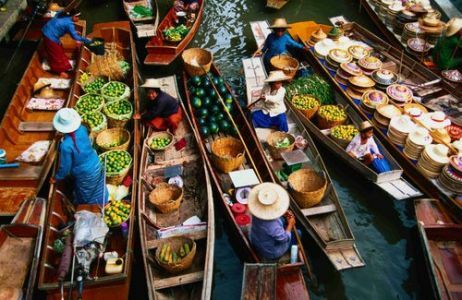 Discover the best of 2 countries - Vietnam (Hanoi, Ha Long Bay) and Cambodia (Siem Reap) through this 6 day tour. Day 1 (Vietnam): Arrival at Hanoi. Hanoi city tour. "Cyclo" tour. Day 2 (Vietnam): Hanoi to Halong. Overnight stay on cruise on Halong Bay. Day 3 (Vietnam): Cruise on Halong Bay. Back to Hanoi. Day 4 (Vietnam to Cambodia): Fly to Siem Reap. Watch Apsara traditional show including buffet dinner. Day 5 (Cambodia): Full day Angkor tour. Explore mystical temples of Siem Reap. This is one of the best motorbike tours in India that offers passionate bikers a chance to beat the heat of Rajasthan's Thar Desert and experience the life of some of the great Maharajas of India amidst the colorful tradition and culture of Rajasthan. Unlike other bike trips, this trip comprises only of a few hilly regions. The journey to the land of Rajputs covering Jodhpur Maharaja style. On crossing the desert areas, life in Jaisalmer can be experienced from a very close angle. 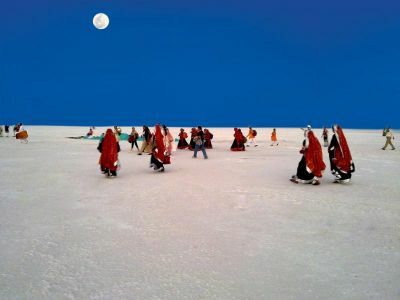 While one can also experience camel rides and desert safari at Jaisalmer and lot more.